Kevin and Bryan Matheson received critical acclaim at their Carnegie Weill Recital Hall début as part of the Ibla Grand Prize competition winners’ tour following their performances in Sicily. The duo has been recognized for its mesmerizing and spirited performances - two perfect virtuosos, playing as one. As founding members of the Classic Strings Duo and Rainier Trio, they have performed twice in Yamaha Hall, Tokyo, Japan and on numerous concert series throughout Virginia, Pennsylvania, Maryland, West Virginia and North Carolina. They tour for the Virginia Commission for the Arts, have released five CDs and been chosen as “CD of the week” by WQED Pittsburgh. They have performed in the Ameropa International Chamber Music Festival in Prague, as guest soloists with the Irish Sinfonietta Orchestra in New York City and were concertmaster and principal violist of the Viva Vivaldi Chamber Orchestra, which recorded for Centaur Records. Kevin and Bryan served as concertmaster and principal violist of the RMA Chamber Orchestra which performed at the prestigious West Cork Chamber Music Festival in Ireland and at the Kennedy Center’s Millennium Stage in a joint performance with musicians from Hong Kong and Macao. 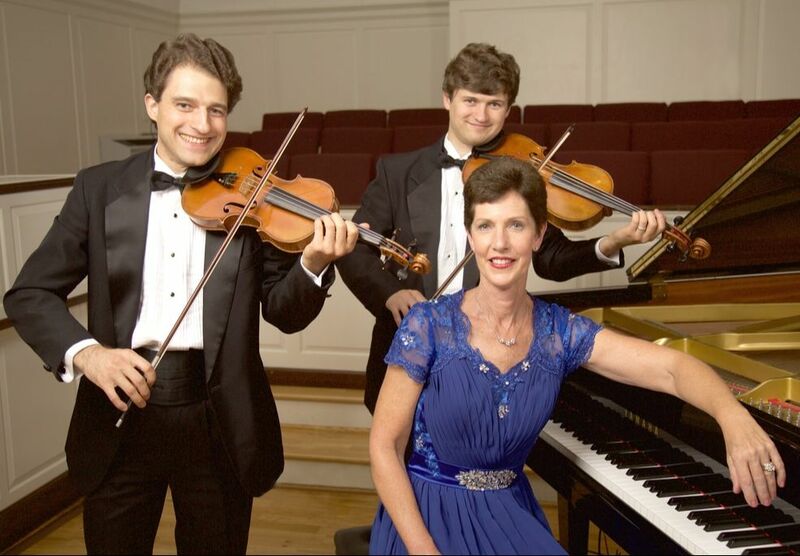 Now in its ninth season, the Rainier Trio is an exciting and energetic group that captivates audiences with gems from the violin-viola-piano trio repertoire. A combination written for since the 17th century, the repertoire includes works by Mozart, Mendelssohn and Milhaud, bridging genres from classical to ragtime and tango. The trio has performed on numerous concert series throughout Virginia, Pennsylvania, Maryland, West Virginia and North Carolina. Hailed as “two perfect virtuosos” at their international performance début, Kevin and Bryan Matheson of the Classic Strings Duo were received with critical acclaim at their Carnegie Weill Recital Hall début as part of the Ibla Grand Prize competition winners’ tour. The duo has been recognized for its mesmerizing and spirited performances - two perfect virtuosos, playing as one and has performed in Japan, Sicily, Ireland and the Czech Republic. They have teamed up with pianist Brenda Wittwer, a native of Charlotte, NC who now lives in Wytheville, VA. She has been accompanist for Theater Charlotte, Pfeiffer University Concert Choir and Sounds of America, a musical group which toured the 48 contiguous states. With the Wytheville Community College Choir she has performed at Lincoln Center and Carnegie Hall in New York City.